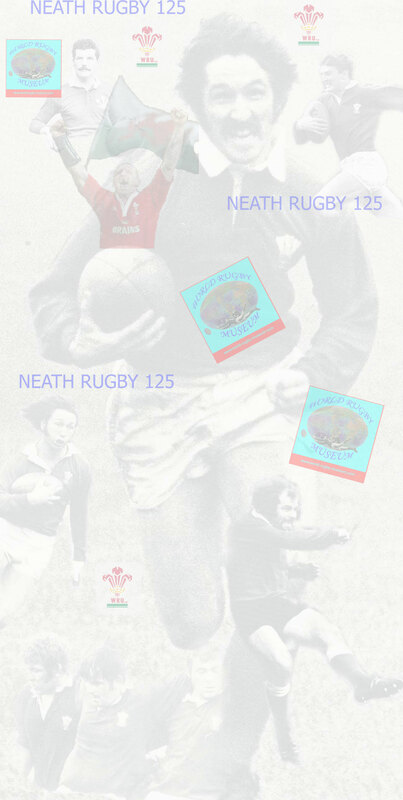 Written in 1845, this was the first law relating to rugby boots. The above was quite important as ‘hacking’, the kicking in the shins or lower legs was all part of the early game. 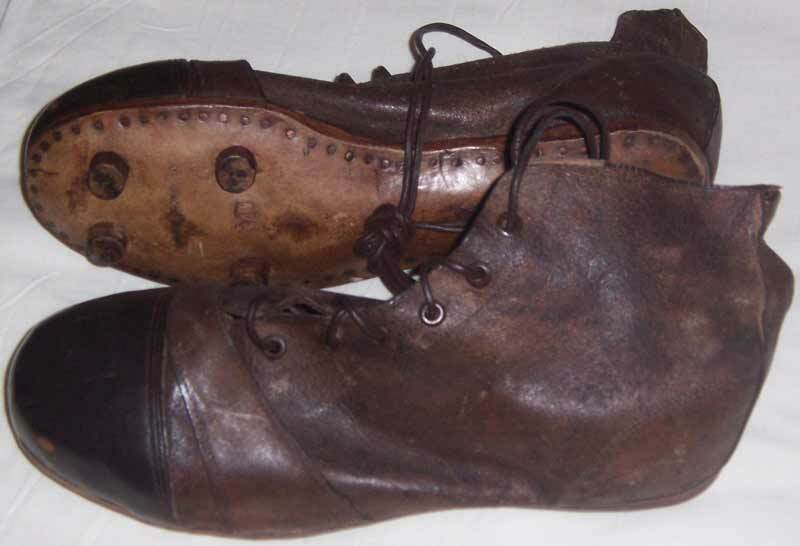 This rule however, did not stop the enterprising boys of Rugby School from sending their boots to the cobblers to have the front ends ‘sharpened’. 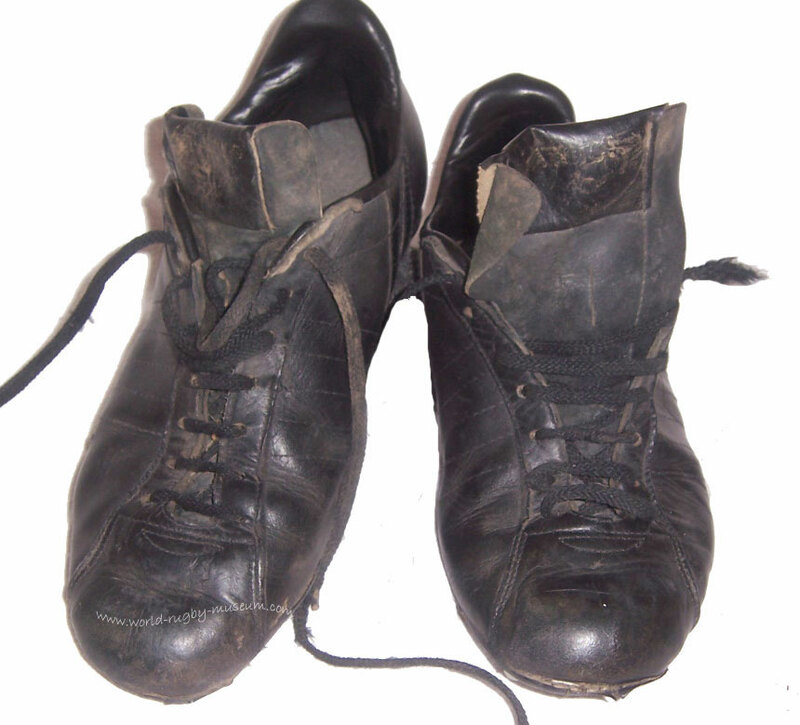 Early boots tended to be what players wore for every day life or leisure. 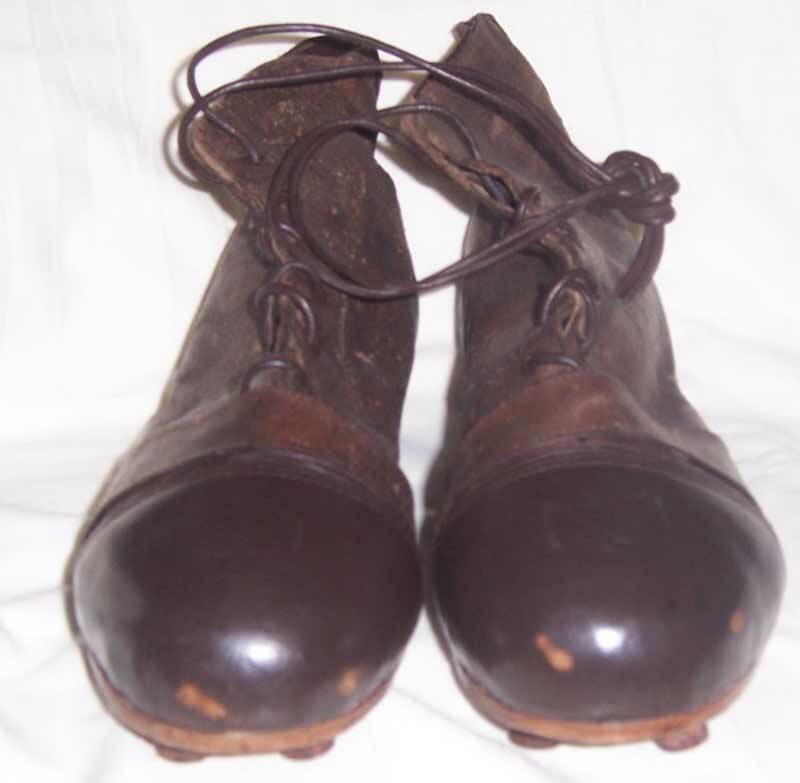 University students and professional gentlemen would wear walking boots while a collier would wear the same boots to play rugby as he would down the mine. The one difference being bars nailed across the soles to aid traction in the mud. Victorian entrepreneur's saw an opening and by the end of the 19th century a proliferation of sports equipment manufacturers and outfitters had emerged, Bryan's, Gamages, Watson's and Lillywhites were the names adorning the pages of publications advertising their wares. 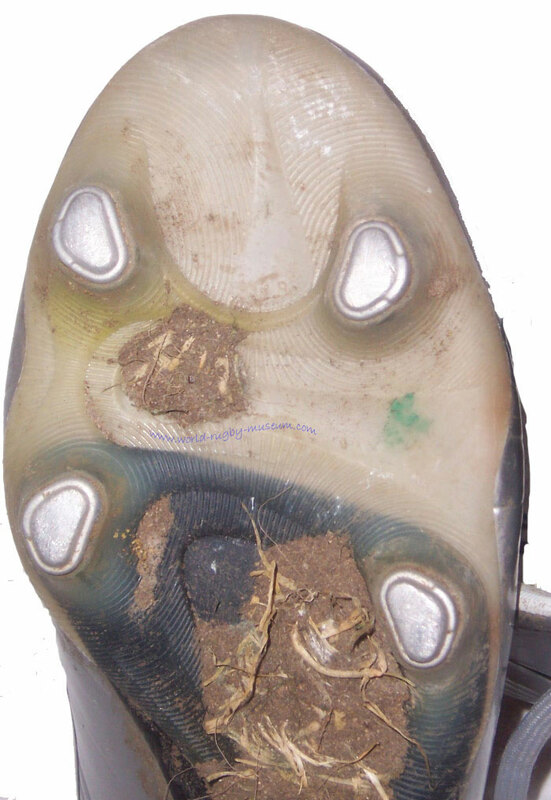 The boots being sold at this time showed little difference to the walking and working boots previously worn. They were high cut and sturdy, the major improvement being leather studs replacing the bars, giving greater traction on a muddy paddock. 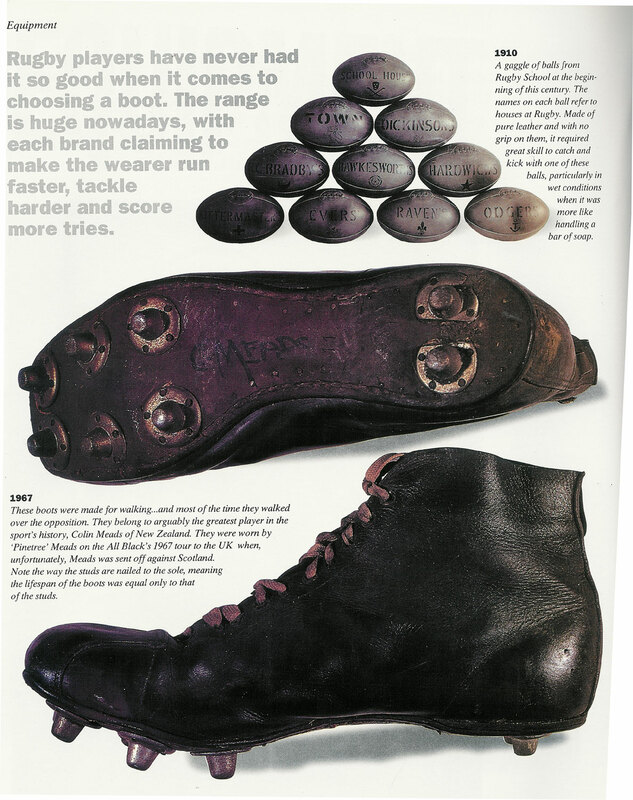 The next 8 decades saw little 'improvement' in the 'rugby boot'. 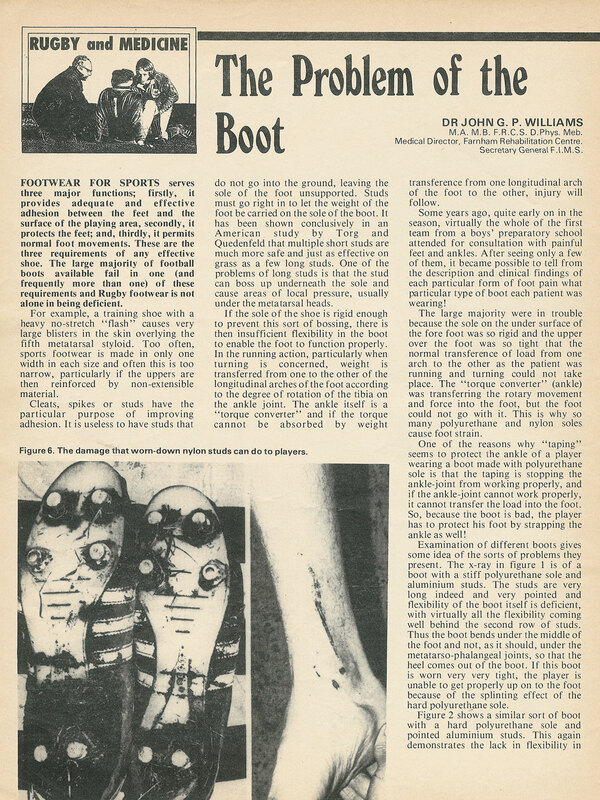 In the 1960s a high ankle was still favourable but the quality of the leather had improved and the leather studs had been replaced by steel, then aluminium. 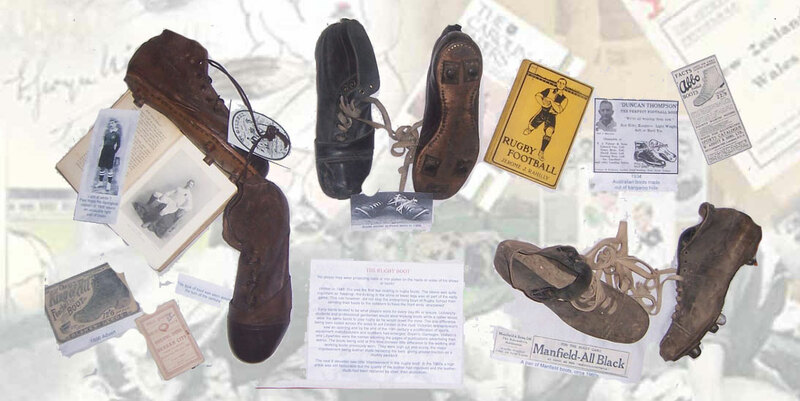 The earliest recorded ‘football’ boots were listed in the wardrobe of King Henry VIII. 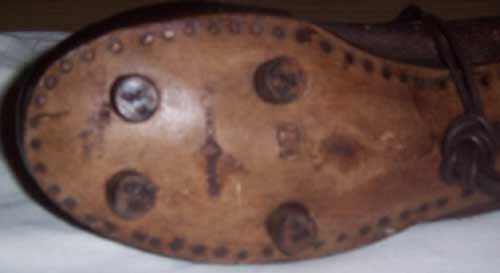 They were made by his shoemaker Cornelius Johnson at a cost of 4 shillings. 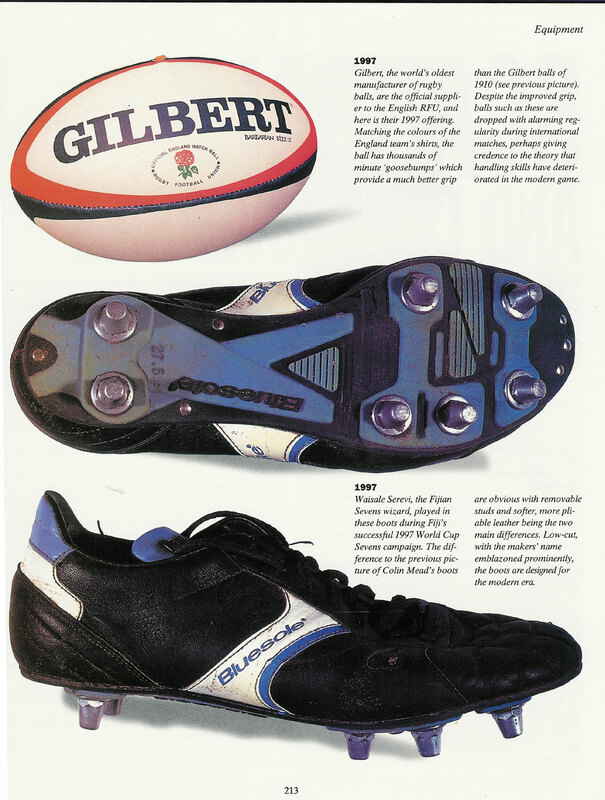 The rugby boot has through the years been developed in tandem with its soccer counterpart. Soccer being a predominantly kicking game needed more than just ‘traction’ in its footwear. 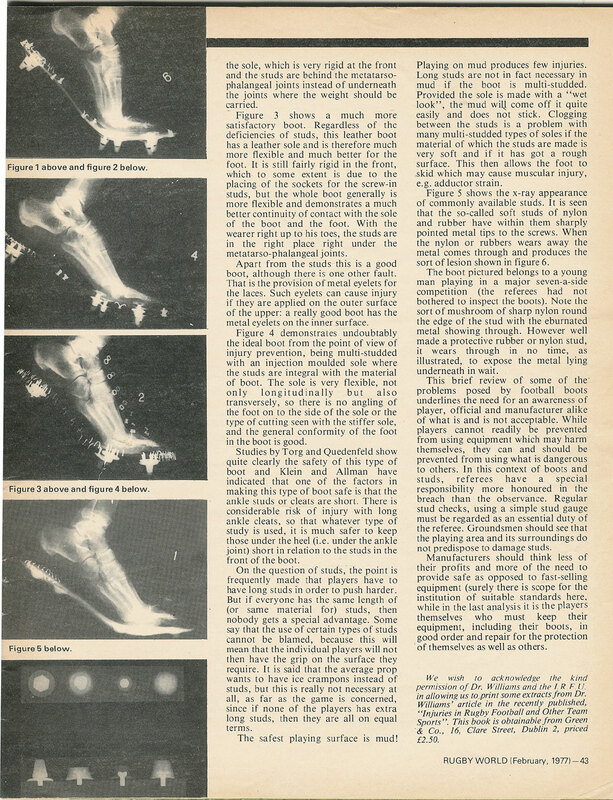 It needed a product that could transfer energy efficiently from the player to the ball. 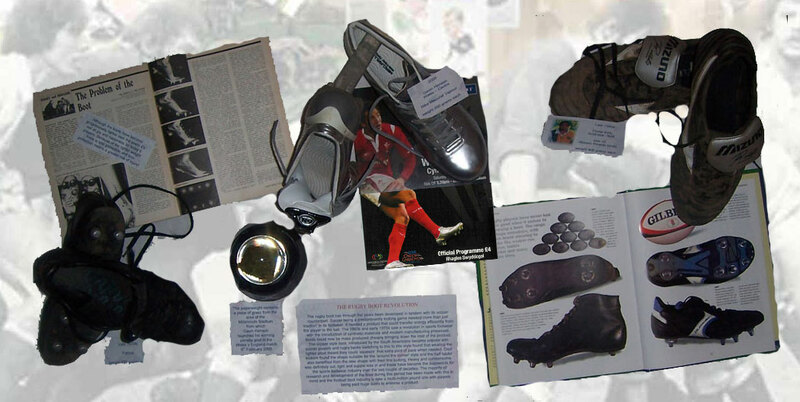 The 1960s and early 1970s saw a revolution in sports footwear with the introduction of synthetic materials and modern manufacturing processes. Boots could now be mass produced cheaply bringing down the cost of the product. 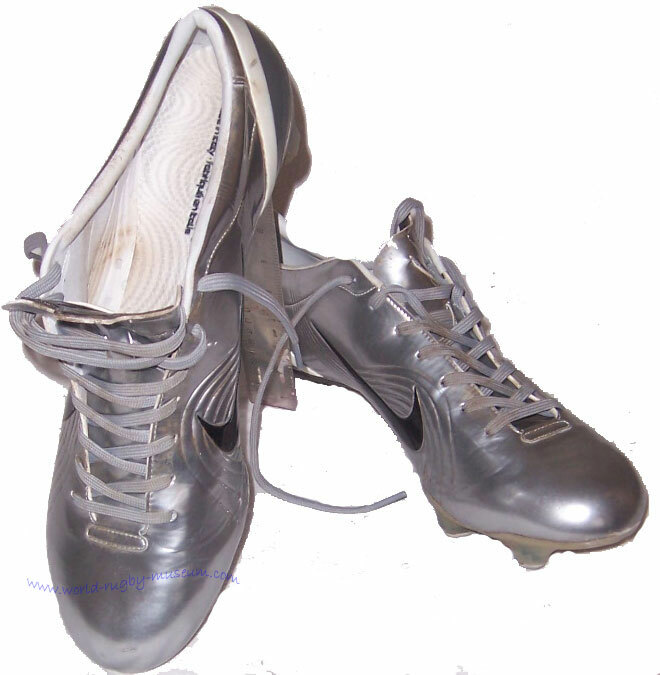 The slipper style boot, introduced by the South Americans became popular with soccer players and rugby backs switching to this to this style found that wearing the lighter shoe meant they could ‘squeeze’ that extra yard of pace when needed. Goal kickers found the shape suitable for the 'around the corner' style and the half backs also benefited from the new shape with their line kicking. Heavy and cumbersome was definitely out, light and supple was in and these have become the buzzwords for the sports footwear industry over the last couple of decades. 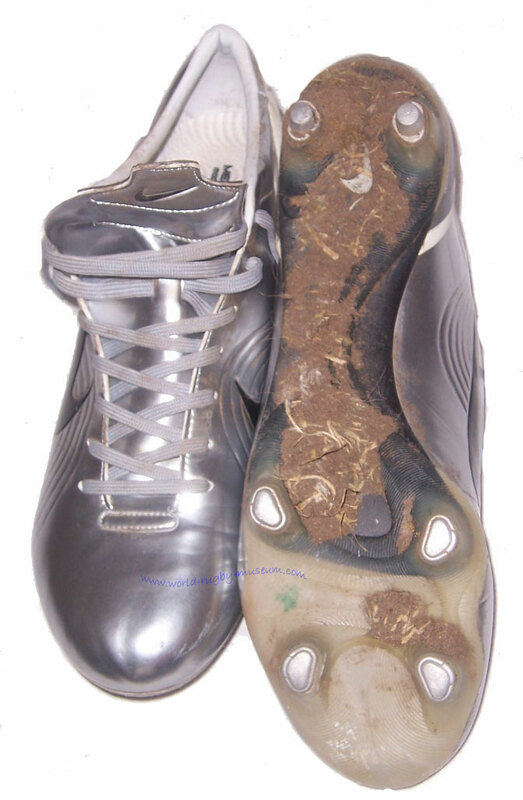 The majority of research and development of the boot during this period has been made with this in mind and the football boot industry is now a multi-million pound one with players being paid huge sums to endorse a product. 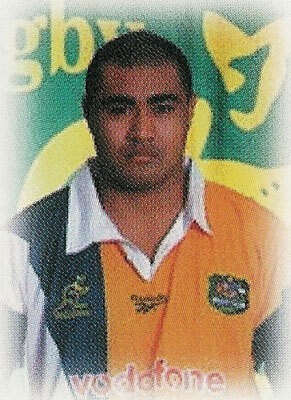 Late 1990s boots worn by Toutai Kefu, the Australian No8. 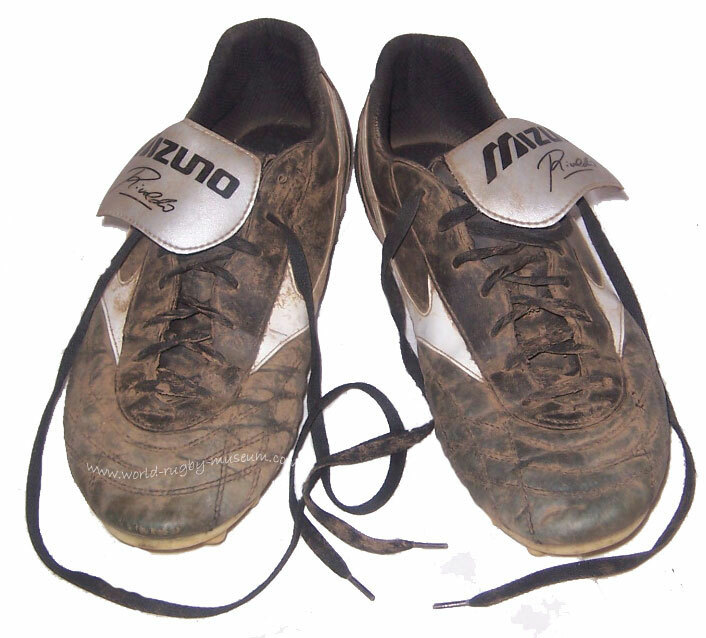 The boots are a size 12 Mizuno Rivaldo with a moulded plastic sole. Weight 400g each.